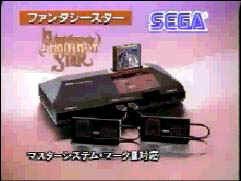 We all know that sega failed at most advertising attempts for decent advertising, with the exception of the Genesis. I'll get into this further soon, but for now, heres a few pictures of ads, and magazines. 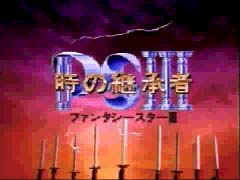 The following are all japanese commercials for each Master System game. They are in REAL AUDIO 5.0 format, so be sure you have the realplayer downloaded! To retain at least some quality, These are 80kbps streams, (Dual ISDN 112k minimum). If you're at a lower speed (as I'm sure that most of you are) You can click below image to download a zip file of it.. 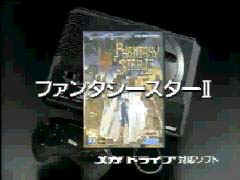 These videos come from my copy of The Phantasy Star Collection, which was released on April 1st for the Japanese Saturn. 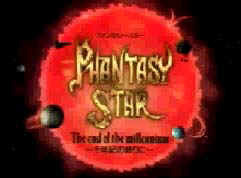 If you want more info This CD set, or any Phantasy Star Question at all, be sure to check out The Phantasy Star Pages!